Today we celebrate the birthday of one Harry Gilbert Day. Harry Day, a nutritional biochemist, helped develop the fluoride additive used in toothpaste to combat tooth decay. The research by Day and his colleagues at Indiana University in the US was funded by Proctor and Gamble (P&G). 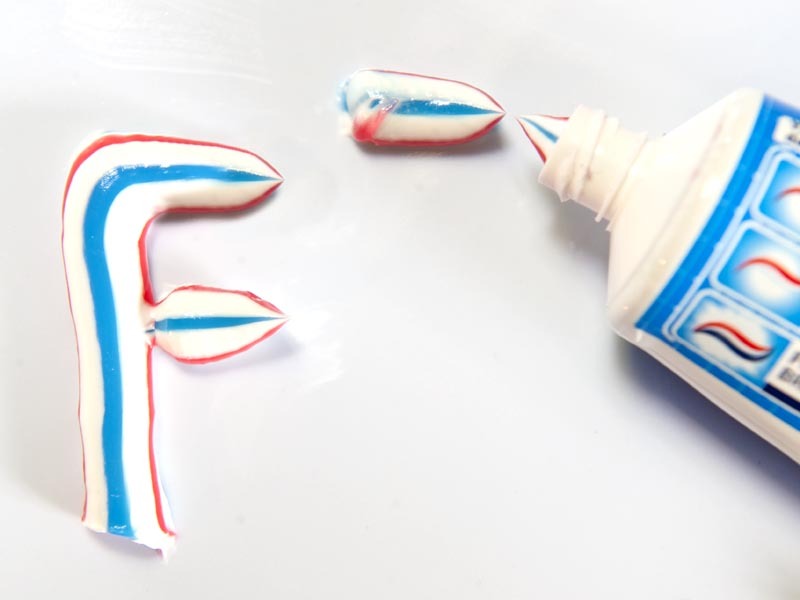 Stannous fluoride was approved as a tooth paste additive by the US Food and Drug Administration in 1955, and introduced to the public for the first time in a commercial toothpaste by P&G in 1956. Since its first introduction, fluoride in toothpaste has been the subject of heated debate. The pro-fluoride lobby holds that fluoride is important to prevent tooth decay and, while it can be acutely toxic if swallowed in large amounts, even ‘full strength/adult’ brands of toothpaste contain low enough levels of fluoride to not pose any health risks. Anti-fluoride campaigners, on the other hand, point to a range of scary issues related to the additive. Dementia in humans, due to exposure to fluoride, is said to double in the next two decades, and triple in three. Excess fluoride is also claimed to cause teeth to discolour and crumble, to have detrimental effects on the musculoskeletal and nervous systems, and according to some studies, even lead to bone cancer. Fluoridation of toothpaste – definitely not a black and white issue. One of the main arguments against fluoride as a toothpaste additive is that it is already included as an additive in much of the world’s drinking water and in mineral and vitamin supplements, and that the combined levels we are exposed to exceed what is safe. As a result of the debate, more and more non-fluoride toothpastes are being introduced to the market, allowing both sides of the argument access to their preferred option. As Shakespeare might have said if he was around today: “To fluoridate or not to fluoridate, that is the question.” What is your view on the subject? I am not sure. I’ve used a toothpaste called Auromere in the past, and I loved it. I noticed that while using it, I’d wake up and my mouth would feel more awesome and clean upon waking than it felt when I had used other toothpaste. But now, my financiback to Auromere (I don’t like the Tom’s stuff) for a month and then switch back. I practice herbalism and general health stuff, but it sometimes feels tricky to just go with that flow. When I really start to think about it, avoiding everything that may have a certain type of death attached to it leads to a high level of stress that borders on being ascetic, but we are all going to die anyway in our own little unique way. Plus there are so many factors affecting tooth health and decay, such as genetics and regular diet, that I wonder how much of an effect Flouride has related to those things as well. I’m super happy that there are brands out there offering alternatives for people who are really super-against it; I just feel like living in an un-stressed way would be the most healthy thing regardless of what toxins we consume, unless there is evidence that is rather undeniable.